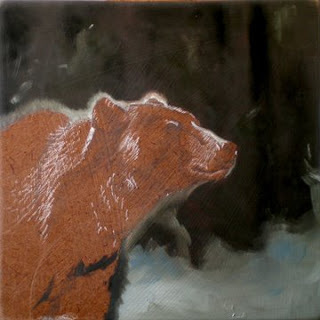 Grizzly Bear, 5" x 5", Oil on Masonite, 2009. 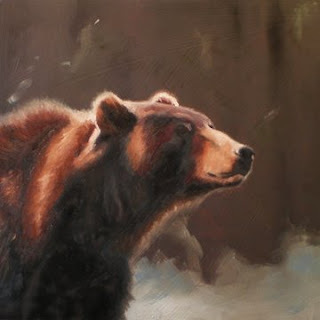 Sweet bear. 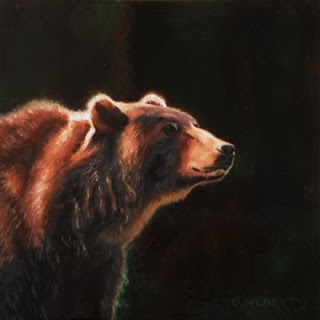 I think I need to paint an animal portrait like this and we should trade.